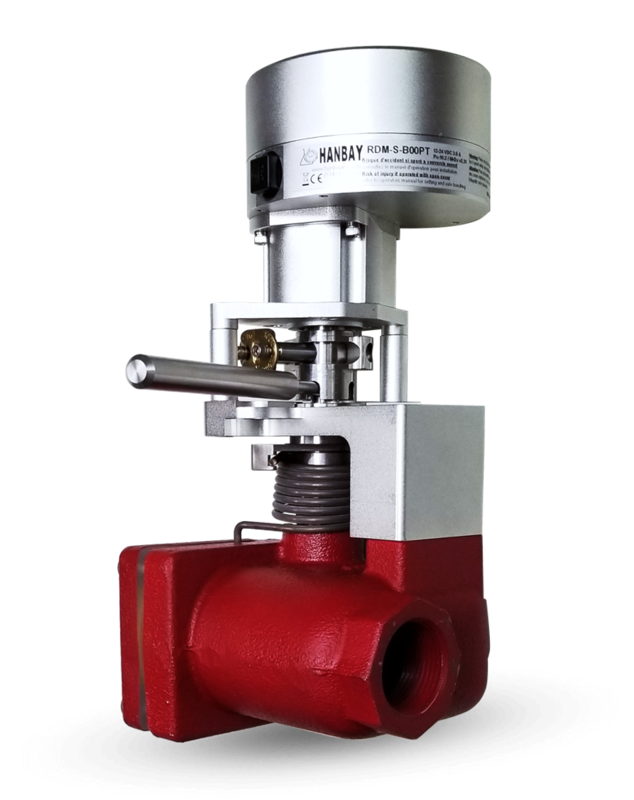 This compact electric explosion-proof actuator was designed to simplify and reduce operational cost for propane storage, handling and dispensing. 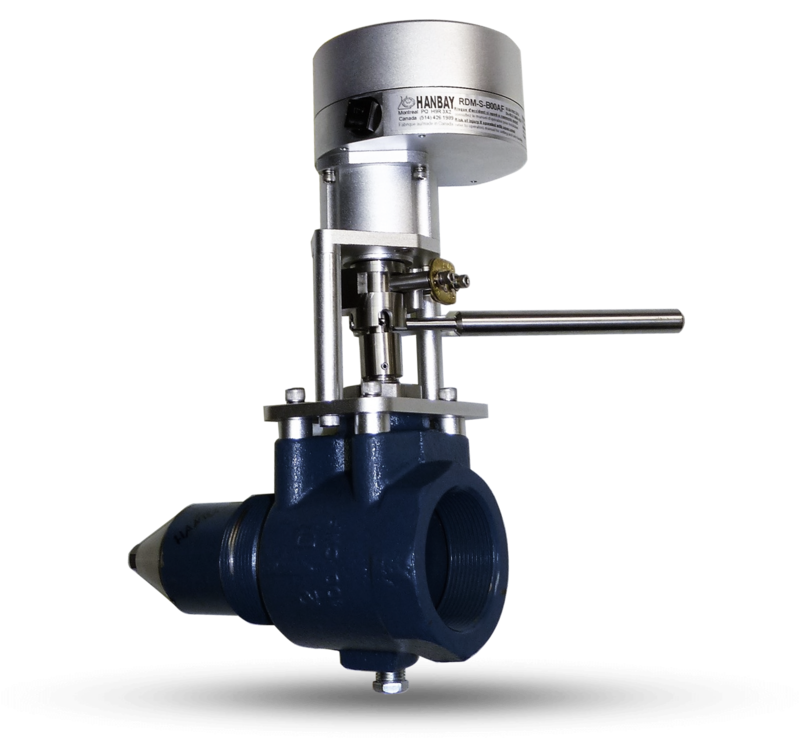 Compatible with any internal valve up to 6". The actuator is available with either CSA/UL or ATEX rated explosion-proofs enclosures. The 24VDC dual fail-safe actuators easily fits on dispensers, transport vessels, bobtail trucks, rail cars, stationary tanks and much more. 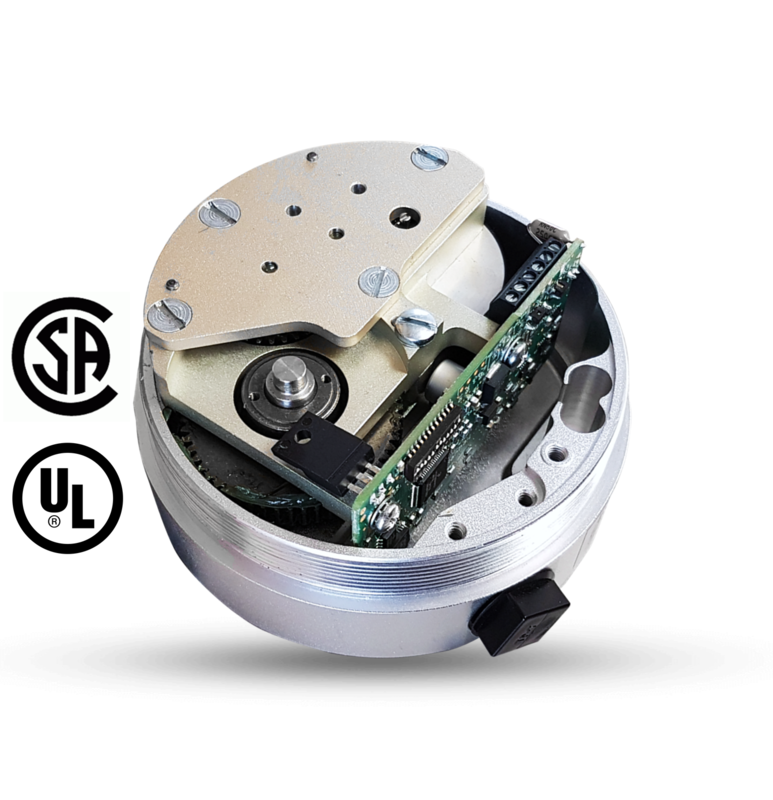 Ask about our ¼” 3-way quick acting valve actuators. 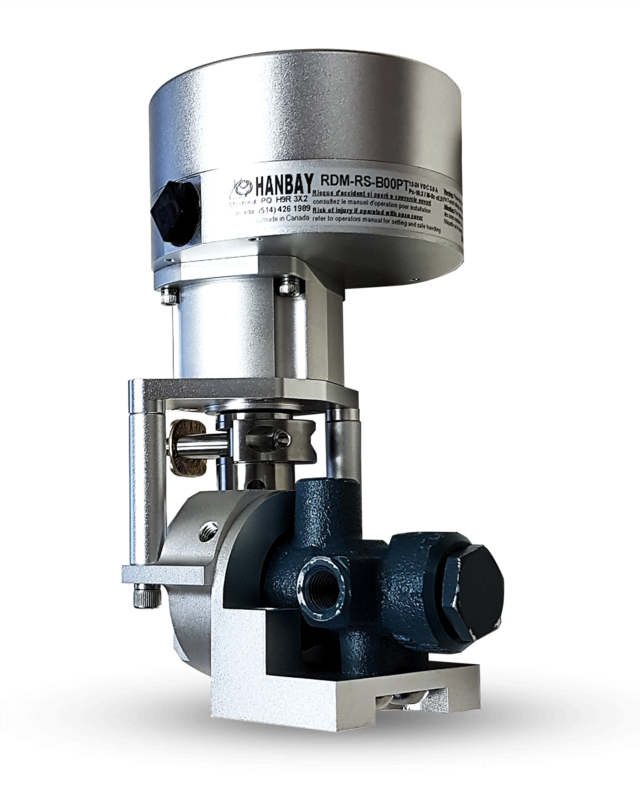 The Hanbay actuator provides automatic shut-off of liquid or vapor flow in the event of an accidental pull-away, line break, or hose rupture. Electrically automating ESV’s reduce cost of operation, energy and maintenance while simultaneously improving safety and efficiency. Fits on dispensers, transport vessels, bobtail trucks, rail cars, stationary tanks and much more. Ask about our ¼” 3-way quick acting valve actuators.